This sign's clever and catchy rhyme (which we don't have a photo of—don't be misled by the image to the left) is only the latest poetic offering from John Deere, the leading manufacturer of lawnmowers and tractors that has been, um, cutting up lines of prose for at least a half-century now. Could it be that the corporate mind behind Deere's advertising and promotional products knows the etymological synchronicity between farming and poetry—that the term "verse" comes from the Latin word for "turn," which referred to the turn of a plough as well as the turn of a poetic line? Of a Merry Old Soul. 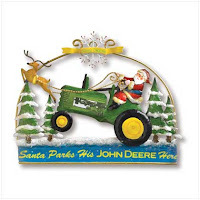 On his shiny John Deere. This is [Fill in Name Here], my little man. He's just as cute as he can be. And have me bounce him on my knee. He grows closer to my heart. 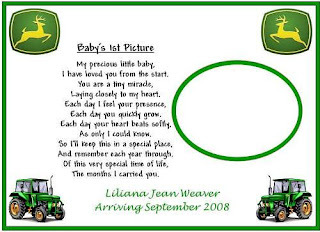 As with "Baby's 1st Picture," the poem uses a guiding agricultural conceit ("He grows closer to my heart") that makes the presence of John Deere not just crassly coincidental. 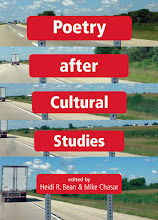 In these poems, the rhetoric of farming life and its machinery seamlessly overlaps with the machinery of family life, with poetry—the linguistic version of turning the plough—serving as the most appropriate genre to communicate it all. But what of the roadside rhyme? Poetry & Popular Culture has to give the slogan props for its complexity, for in the space of five words, it not only rhymes "deere" and "here," but its longstanding, trademark pun on "Deere" and "dear" opens into yet another pun, "right here," which signifies geographically (everything's at this location) and critically (everything's A-OK). "Everything Deere is Right Here" can thus—if we want to parse it out—be read in at least four individual ways: John Deere's products are at this location; John Deere's products are OK; everything you hold dear is at this location; and everything you hold dear is OK. Of course, the slogan isn't meant to be parsed in this manner, as the consumer is supposed to "get" all these meanings simultaneously, especially the additional acoustic suggestion that "Everything Dear is John Deere." In fact—and this is the icing on the cake as far as we're concerned—the slogan contains the clue to this acoustic hermeneutics in the word "here." For if we only see the slogan, we don't get the multiple meanings it has to offer. 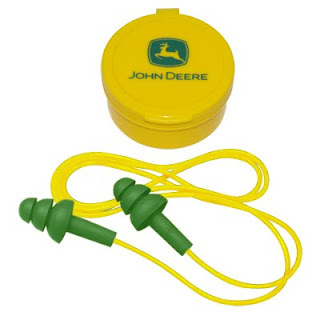 Rather, it is only when we "hear" the language "right here" that we can access its richness, with one exception: We really have to see "Deere" in order to recognize the corporation sponsoring the fun, and somehow it's the seeing of "Deere" in print that gives that corporation its authority and memorability. And all that, Dear Reader—or Deere Reader, rather—is what lands this rhyme at number 3.